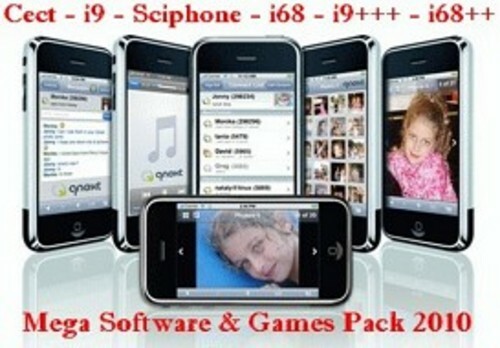 Buy now this mega software pack with a lot of software, tools, manuals and games for your iPhone Clone. You can use the items for Mobilphones like Cect i9, Sciphone i68, i9+++, i68++ and for the most other mobilphones from china too. You can buy this Mobil Software Pack only here! You use the software, tools and other items on own risk. If you dont know anything about mobilphone-software you shouldn´t use it for your phone. If you would make mistakes it could happen that the phone would be damaged or working incorrect. Die Auswahl des Packs ist echt riesig.